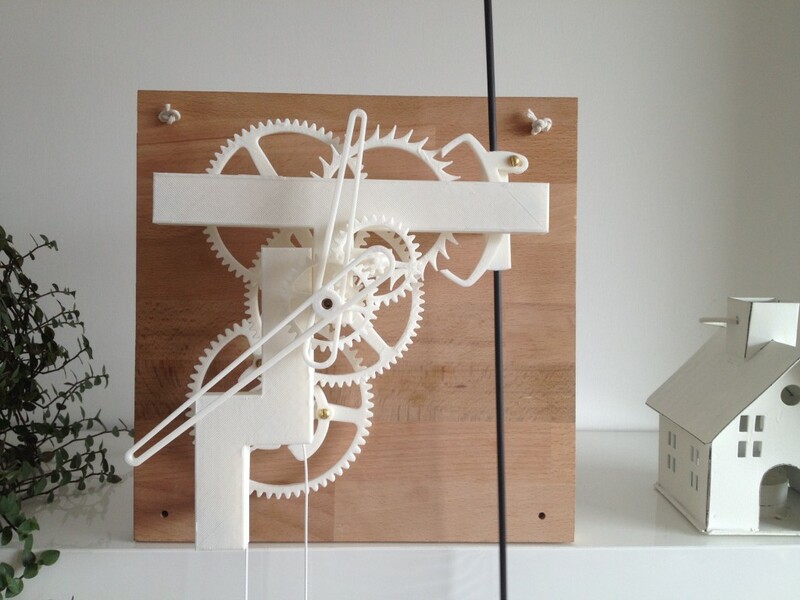 Andy Hudson-Smith and his team at the Bartlett Centre for Advanced Spatial Analysis (University College London) recently used an Atmel-based MakerBot Replicator 2 to print a weight-powered 3D clock. “There are a number of sites online that provide plans or kits for wooden clocks, often aimed at CNC type machines or simply scroll saw cutting out of the individual cogs. A key site is woodentimes.com, the clock we have printed is a modified version of the Septimus,” Hudson-Smith explained in a University blog post. According to Hudson-Smith, each cog took approximately two hours to print, with the frame sections taking three or four. The complete clock – which was printed in four days – runs on an 600g weight and requires winding every 48 hours. 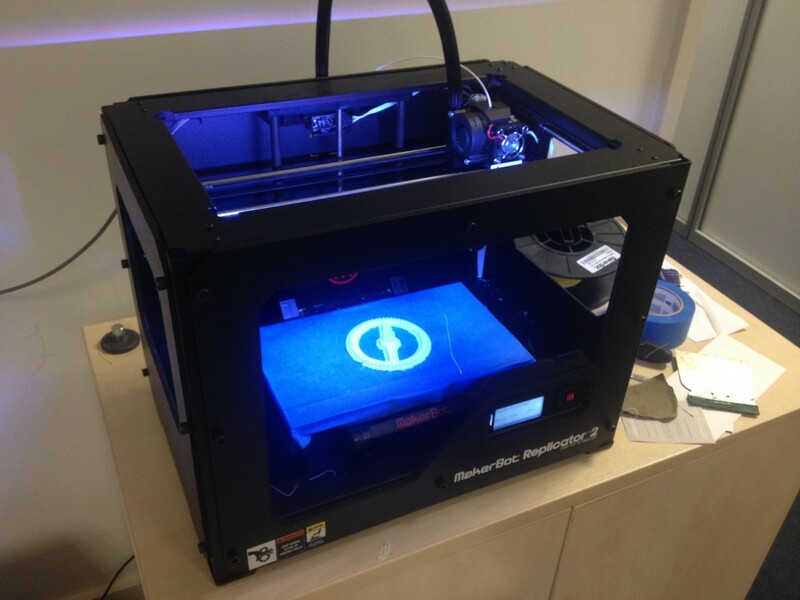 “3D printing opens up any number of possibilities. At the moment it is still slightly experimental and creating the clock was a process of trial of error, especially in terms of the 3D printer settings. The ability to load up SketchUp, model an item and have a 3D printed version in a few hours still fills me with wonder, though,” he added. As previously discussed on Bits & Pieces, the DIY Maker Movement has used Atmel-powered 3D printers like MakerBot and RepRap for some time now. However, 3D printing recently entered a new and exciting stage in a number of spaces including the medical sphere,architectural arena, science lab and even on the battlefield. Indeed, as Bloomberg’s Betty Liu notes, the 3D printing industry is projected to be worth a staggering $3 billion by 2016. This entry was posted in 3D Printing, Maker Movement and tagged 3D clock, Andy Hudson-Smith, Atmel, Bartlett Centre for Advanced Spatial Analysis, MakerBot Replicator 2, SketchUp, University College London on September 16, 2013 by The Atmel Team.